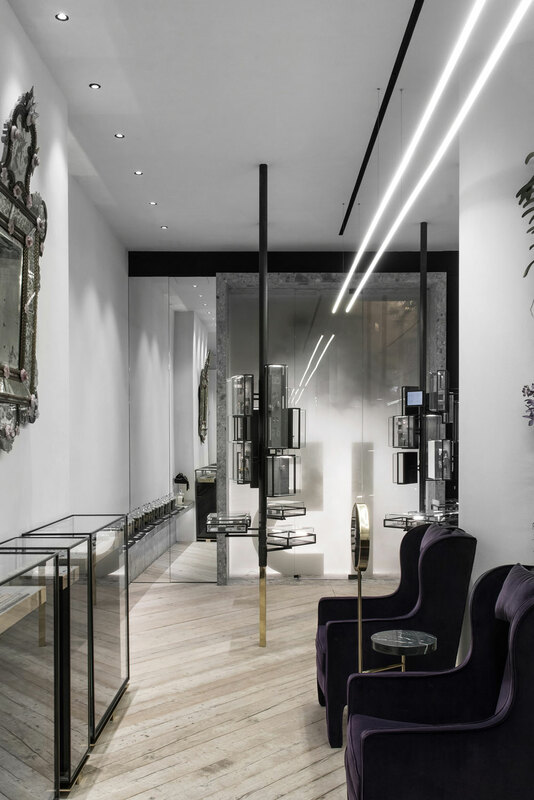 Ileana Makri Jewellery Store by Kois Associated Architects // Athens, Greece. 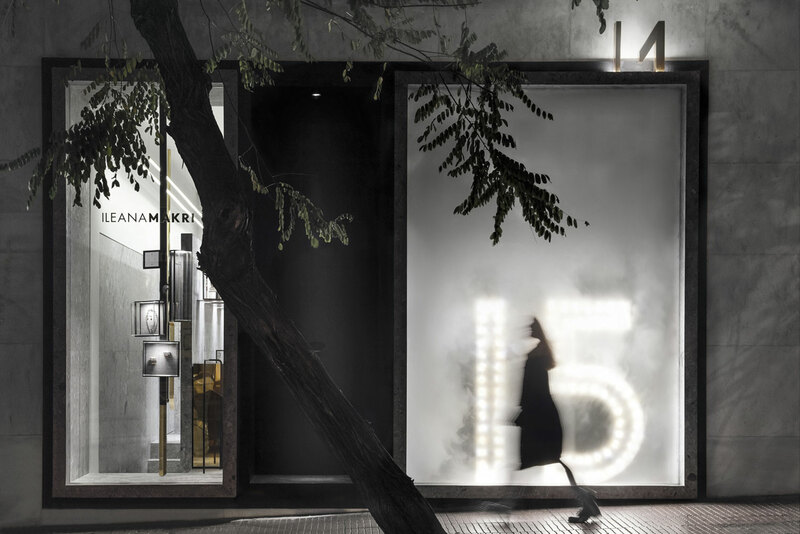 The Ileana Makri Store by Greek studio is located in the heart of Athens. 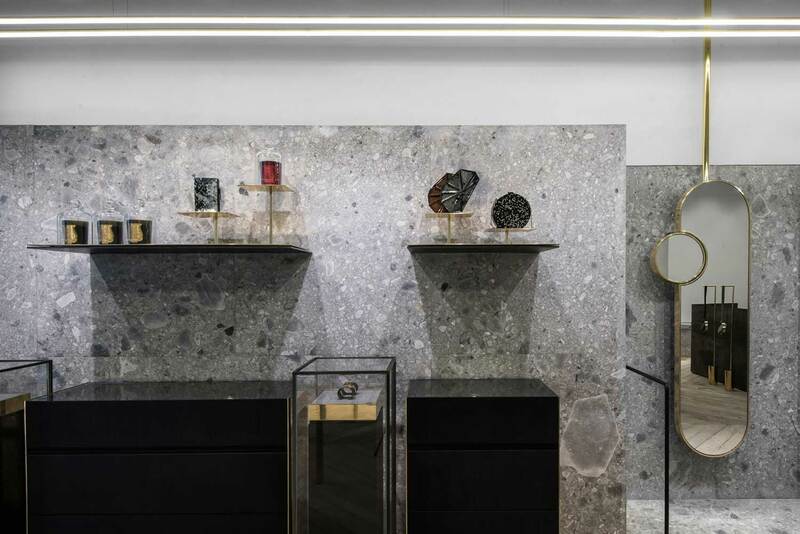 Wanting to create a space that challenges the usual stereotype of a jewellery store, the visitor is able to freely explore the space as if arriving in a peculiar forest. 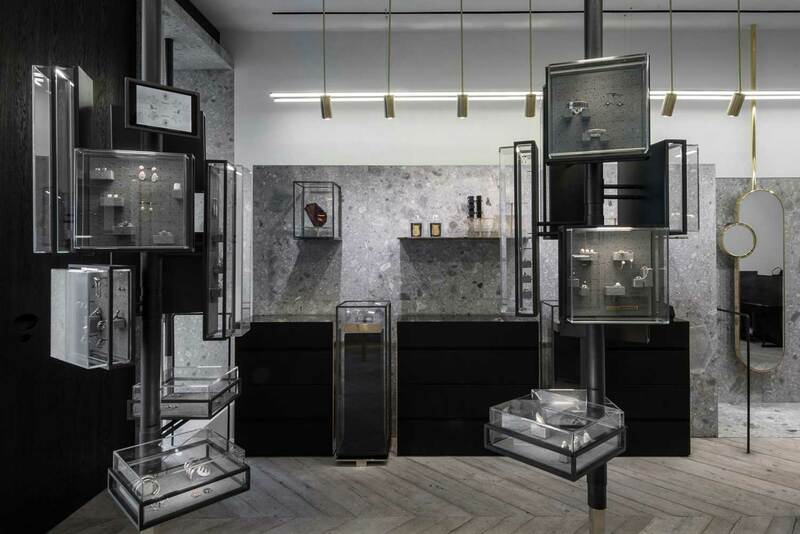 The owner, Mrs Ileana Makri is one of the most important jewellery designers in Greece, her images and knowledge stem from her travels to various countries around the world. 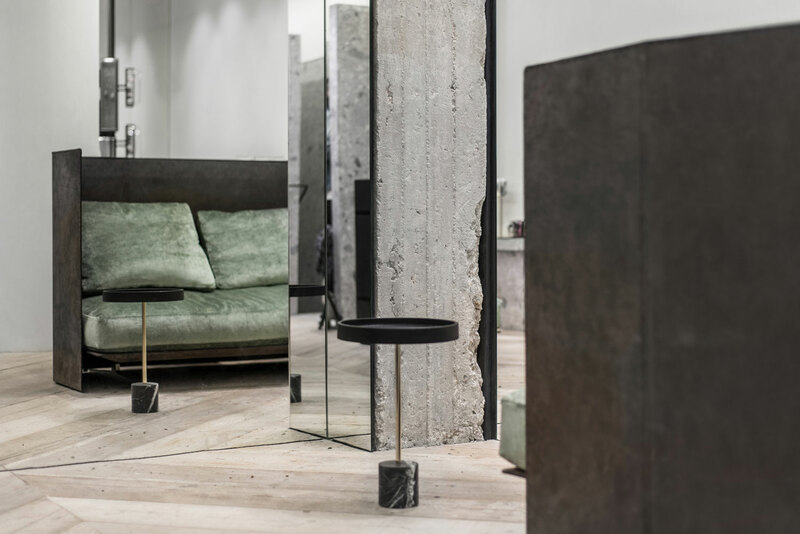 The concept of the flagship store was based on the pieces she creates, which are all different from one another, as if they have been extracted from different worlds, unusual and mysterious. 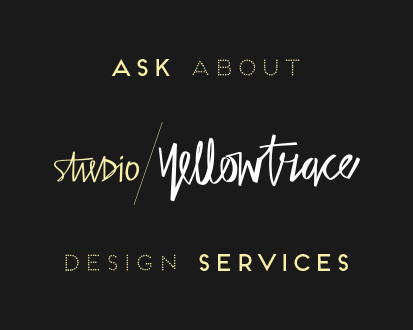 All her work is bound by some persistent and recurring ideas such as the quality of light, geometric patterns, vigorous and fine workmanship and intricate detailing. 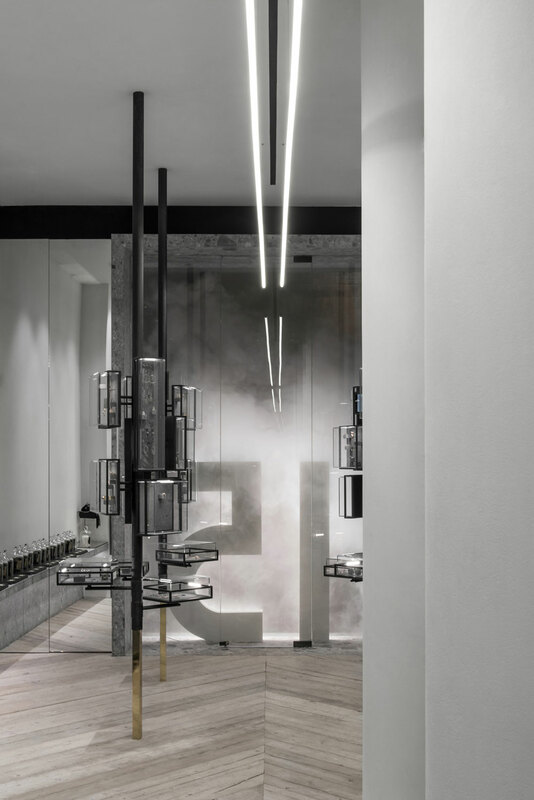 Related Post: Sweet Alchemy by Kois Associated Architects // Athens, Greece. 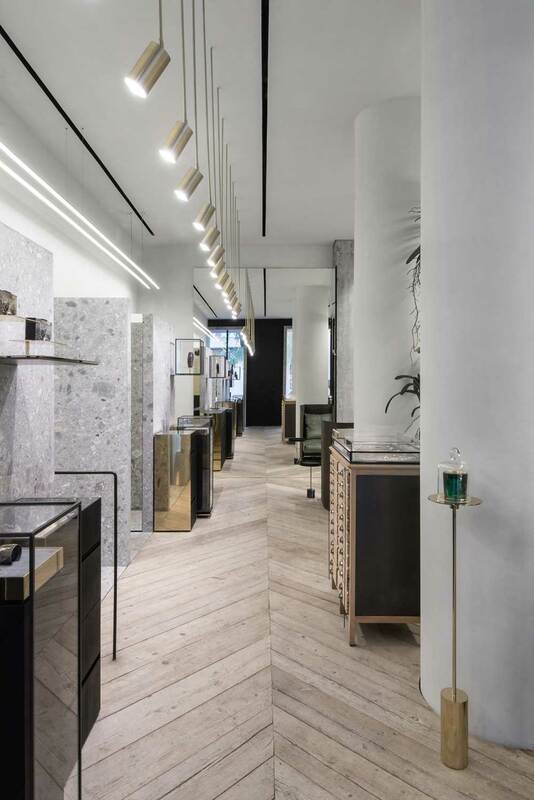 See more Retail Interiors on Yellowtrace. 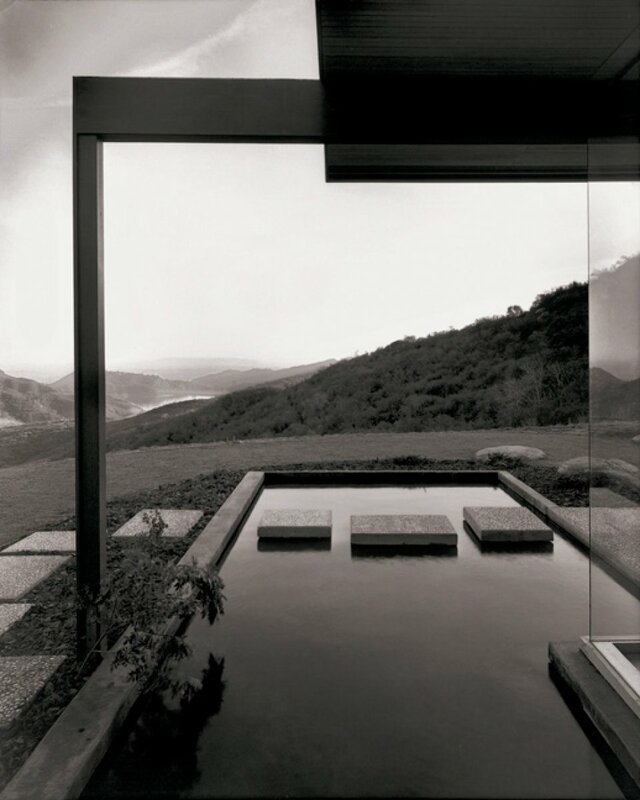 The exterior window was subdivided into three main parts – two stone-framed windows that protrude from the façade, with a black oak door standing between them. 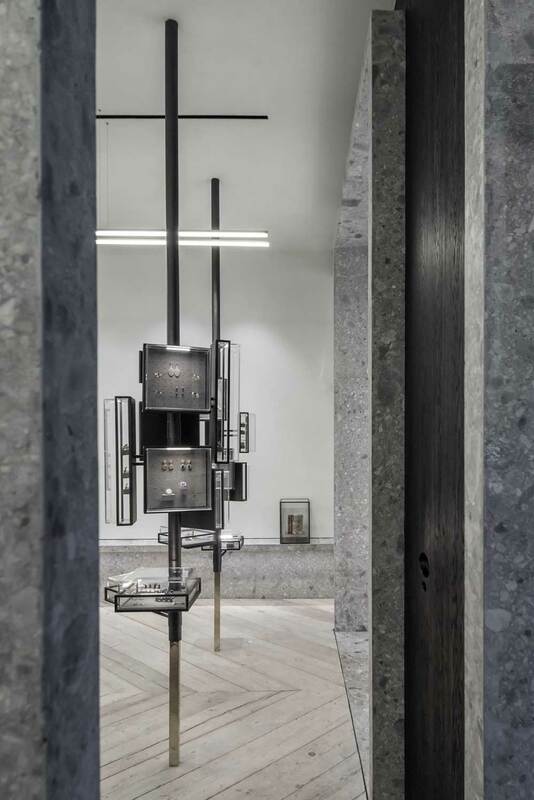 One side of the windows displays the latest collection to the street, and frames a tree made from metal and glass with hanging exhibition cases on its branches, with a stone staircase that leads to the jeweller’s workshop also made visible. The window on the other side of the dark doorway, frames an art installation that is intermittently filled with a cloud of smoke. The door serves as an element of the façade and not just as an opening – its height and robust construction create a monolithic appearance, which combined with the dark colour of the timber alludes to an enchanted forest. Not wanting to reveal everything at once, aspects of the shop are hidden in order to create ambiguity, depth, and a sense of curiosity, making it stand out in a street of constant movement. 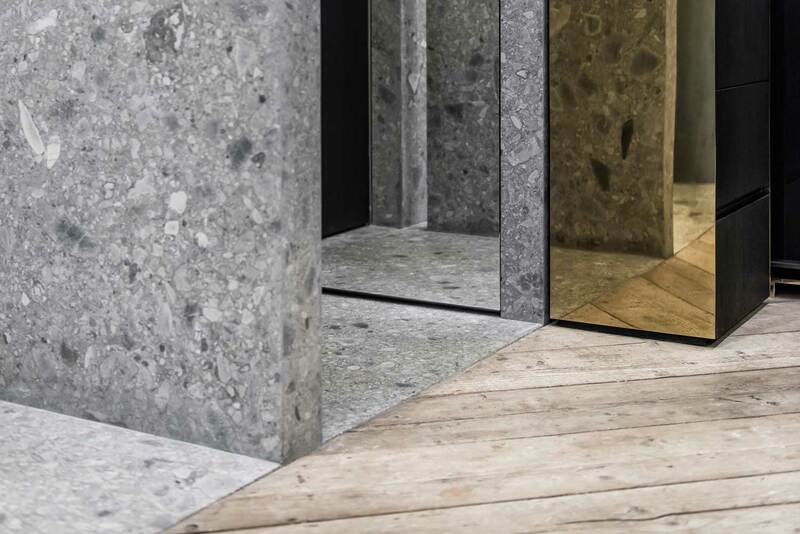 The materials used were carefully selected, working with natural unprocessed pieces of metal, glass, timber and stone – a grey sedimentary rock was used for its internal composition, alluding to the mechanisms of memory. 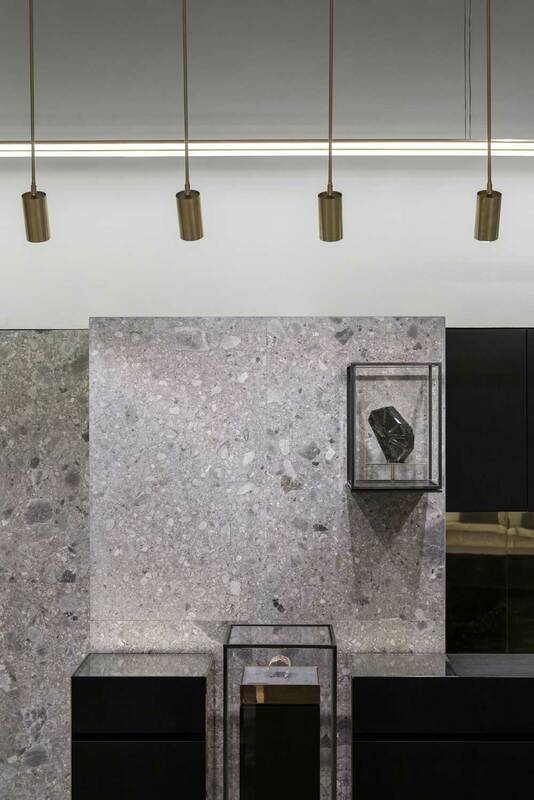 Bronze was applied due to its ability to convey and transform light, while black metal and timber give a sense of rhythm, texture and colour, fusing the elements into a coherent whole. Seriously, can you handle it all? Extreme love. Casa Delpin by Fuster + Partners // San Juan, Puerto Rico. Gallery Post // Love House by Takeshi Hosaka Architects.